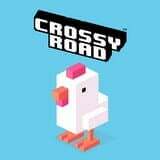 The exclusive web version of Crossy Road (120M + downloads) playable on web and mobile web. Earn coins to unlock 5 special characters + find the special T-Rex. Progress tracker for optimal user retention.